While the X-Men franchise is ready to face a new future after Disney purchases 20th Century Fox’s assets, the series will most likely wrap up with Dark Phoenix this year. But the Dark Phoenix Trailer 2 may have contained a reference to the MCU, a jab at Marvel Studios and their evergrowing franchise of movies that X-Men will join soon. As we reach the end of the trailer, a lot of main Mutants are taken captive, placed on a train, guarded by armed forces. The train gets attacked by Jean Grey, who unleashes her power as the titular cosmic entity that plagues the X-Men in Dark Phoenix. But this scene shows guards wearing patches saying “MCU”, the same acronym used for Marvel Cinematic Universe. Obviously the film will introduce new antagonists in response to Jean Grey losing control. This causes a wave of anti-mutant hysteria. The comics sees Mutant Control Agency taking a similar role and in the film, it could be called Mutant Control Unit. But it’s tough to believe Director and writer Simon Kinberg not considering the connection fans would notice. But given that MCU isn’t a trademarked term and more of popular name among fans, it’s likely to be a fun nod to Marvel. 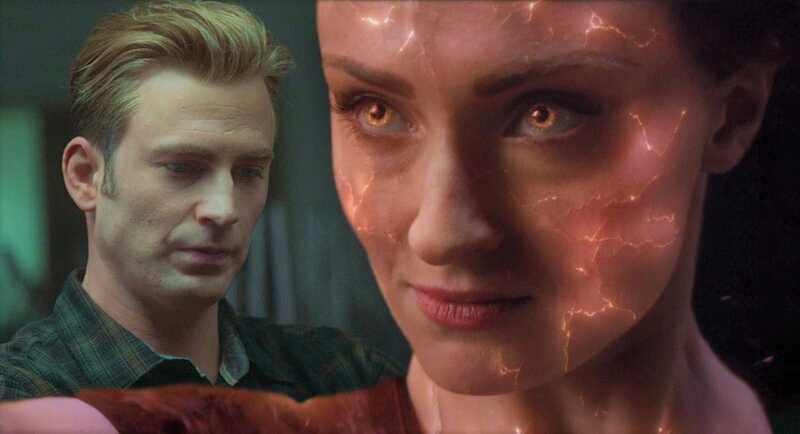 Simon Kinberg spoke about Dark Phoenix and X-Men moving to Disney’s MCU, although he seemed unsure at the moment. “I haven’t had formal talks with Disney. I know [Marvel Studios President] Kevin Feige very well. But we haven’t had formal talks because until the merger is official, they’re not allowed to have those kinds of conversations with the folks at Fox or myself,” Kinberg said to Entertainment Weekly. “What’s interesting is obviously I started this movie long before Disney purchased Fox, and I approached the movie knowing that it was the fourth movie with our First Class cast and that the Phoenix story for me is the ultimate X-Men story. X-Men: Dark Phoenix hits the theaters on June 7th. Did Ed Sheeran Reportedly Marry Cherry Seaborn in a Secret Wedding Ceremony?